Let’s have a non-GMO Thanksgiving! | That's Bad For You! Let’s have a non-GMO Thanksgiving! Thanksgiving is in exactly one week! No doubt people are looking for the best Thanksgiving dinner ingredients at the lowest prices. Food prices are not what they used to be and can really pinch the pocket around the holidays. We all know that the lowest priced food can often mean the crappiest quality, which makes room for GMO foods in your shopping cart. 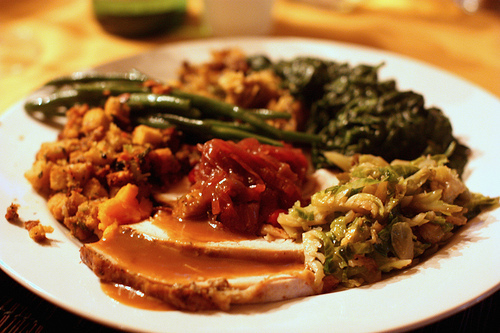 Learn about how you can have a GMO-free Thanksgiving dinner this year. Remember just because it tastes good, doesn’t mean it’s good for you. Give thanks for less GMOs in your food this year! Enjoy! This entry was posted in GMOs, Helpful and tagged GMOs, Thanksgiving by thatsbad4u. Bookmark the permalink.